As both a musician and a person that prefers not to talk to people on the bus, I’ve spent a good amount of my life wearing headphones. Therefore, I’ve acquired a pretty good sense of what makes for a good listening experience. 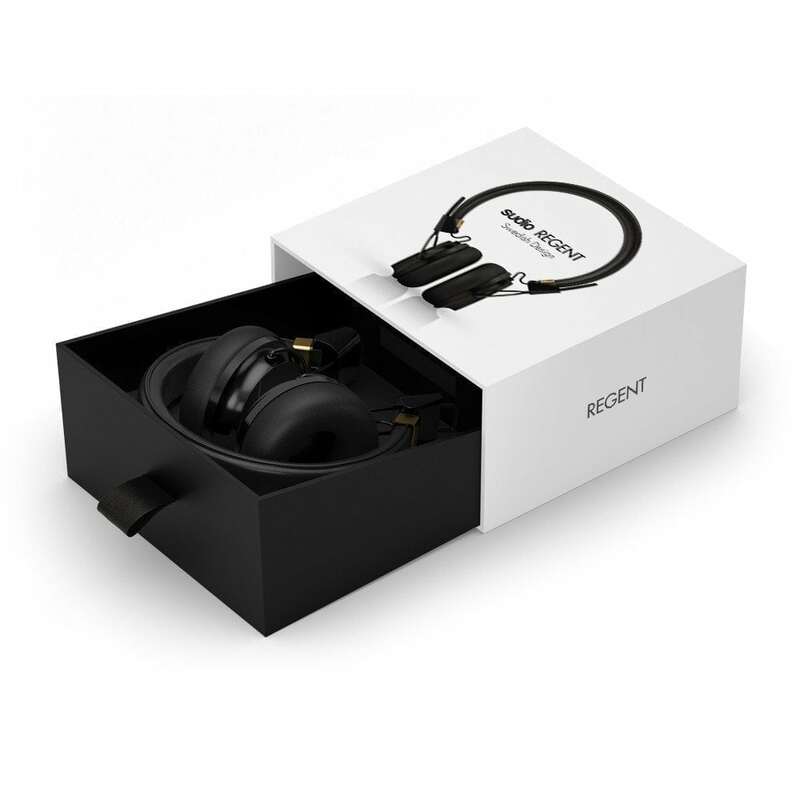 Today, let’s take a look at Sudio’s Regent headphones, which offer wireless capability through a Bluetooth connection. Referencing Phil Collins’ insanely catchy song Sussudio, Sudio is looking to stand out in the crowded world of headphones. How does the song Sussudio sound on Sudio headphones? (Is your mind blown?) Let’s take a look. First of all, I have to say these are some of the best looking headphones I’ve seen in awhile. The sleek design stands out immediately, staying mostly monochromatic with tinges of gold. Additionally, there’s no loud logo emblazoned on the headphones, making the design feel much less busy.Something else that really stuck out to me was the comfort and portability. Because they’re able to expand and retract, the headphones can be easily adjusted as you wish, and packed away when you’re on the move. Like anyone else who uses Bluetooth sparingly, I had my concerns about the wireless feature on the Sudio Regent. However, those worries were quickly forgotten, as the process was as simple as holding the middle button on the headphones and enabling Bluetooth on my phone. But, for anyone that prefers cables, an aux cable is included in the package. The sound quality itself is very impressive. After trying out some ambient background music, heavy metal, and even some podcasts, I was grabbed by how crisp everything sounded. Everything came through crystal clear, whether I was listening through the Bluetooth connection or the aux cable. Sudio’s Regent headphones are great for anyone looking to get high-quality sound without breaking the bank. Because they bring the style factor, they look just as good whether you’re jamming out to some Chumbawumba (excellent choice) or have them comfortably resting on your neck. Which, let’s be honest, always looks pretty cool. Previous article Would You Eat Jellyfish Chips?